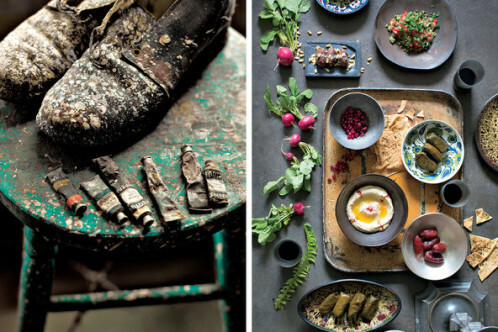 New York based photographer Robyn Lea is combining aesthetically pleasing and gustative goodness with her new book ´Dinner with Jackson Pollock´. 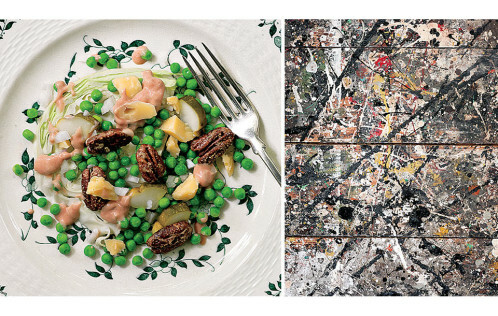 Glossy pictures of the Pollock and Krasner´s home are siding the favorite recipes of the colorful artist who brought abstraction into the art world. It all began several years ago when Lea visited the East Hampton museum, once the house of Jackson Pollock and his wife Lee Krasner. Interrogated by what the couple used to cook and eat in this house, the photographer began to research diving into Jackson´s family recipes and cherished meals. The result is the ´Dinner with Jackson Pollock´ book — an art and cook book giving an insight into the Pollock´s life, his home and gusto. Hence, the ´Jackson´s Prize-Winning Apple Pie´ or the ´Pollock famous spaghetti sauce´ are no longer one of Pollock’s best kept secret.